Getting started investing in real estate can sound daunting. There are so many things to consider – location, property type, loan products, dealing with tenants, etc. Just one of these things is enough to deter most people from ever getting started investing. Fortunately, there are many different ways you can get started. I’m going to tell you the easiest and best way I know to get started investing in real estate. That is buy a fourplex! A fourplex, sometimes referred to as a quadplex or quad, is a 4 unit apartment building. There are a few things that make fourplexes a great first investment. The first big differentiator is the loan typ. With single family through fourplexs, which include duplexes and triplexes, you can get a residential loan on those types of properties. Once you get to 5 units and larger, those properties require a commercial loan. So what’s the difference? Well for one, you can occupy the fourplex and put as little as 3% down. This allows you as the investor and tenant, also knows an owner occupant, to get into the property for relatively little money. So why a fourplex over a triplex or duplex? It’s simple – you have better economies of scale with more units. You only have 1 roof for 4 units, vs 1 roof for 1 single family. If you have a vacant unit in your fourplex, you have a 25% vacancy rate. If you have a vacant unit in your duplex, you have a 50% vacancy rate. You can begin to see the economies of scale. Ideally, you can live in one unit, and rent out the other three. The rent from the other three units will usually cover the principal interest, property tax, and expenses of the property. 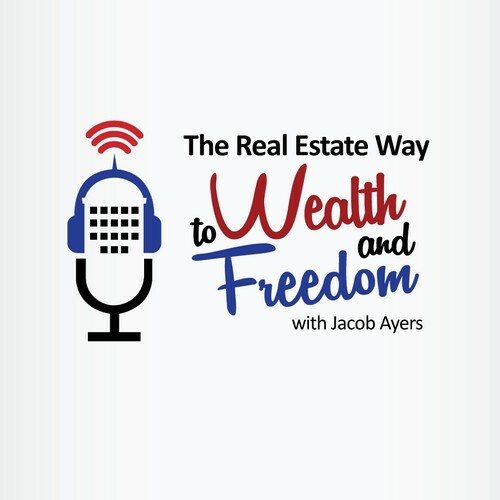 Depending on the market and how well you buy the property, you could even have money left over after you pay the expenses, and produce a positive cash flow every month. Now that’s an awesome deal! If you’re not sure you’ll live in the fourplex for very long. Say you want to explore new cities, or may move for a job, or you want to take a year off and travel the world, then a fourplex is the perfect type of property for your first deal. You can simply move and rent out your unit to another tenant! As with everything, there are risks. You can make mistakes. Fourplexes aren’t some magical foolproof way to wealth. If you live in the property, and self-manage it, your tenants will likely know that you own it. They may bother you frequently with requests, complaints, etc. The tenant may even feel like your peer, and try to get away with paying late, expecting special treatment, etc. Most of these mistakes can be eliminated with proper management by yourself or a professional management company. You’ll either need to be prepared to be a landlord, or hire a professional management company to manage the property for you. Most people starting out, don’t want to pay for a management company and become a landlord. It’s entirely up to you, and both options have their advantages and disadvantages. So if you’re wanting to get starting investing in real estate, and don’t know where or how to start, look into fourplexes. Fourplexes are a great investment vehicle! Get out there and start searching for your first deal. Before you know it, you’ll be well on your way to building a real estate portfolio that produces passive income that will exceed your lifetime! That wraps up this week’s Friday Fundamentals with Jacob Ayers. If you’re getting value out of this show, please let me know by leaving a rating and review in iTunes. Please subscribe to the show to be notified of new episodes! You can now find the show in iTunes, Google Play, Stitcher, Spreaker, and TuneIn Radio. We have some great guests lined up over the next couple weeks. We’re going to be interview some guests who you can make a part of your own team! I’m going to continue to give shout outs to people who have reviewed the show starting next week! I look forward to reading your reviews! As a thank you, I want to give you a gift! Click the link to redeem your free Audible trail and free audio book of your choice! And also, please let me know what you think of the show! After all, I’m here to help you and that’s where I want the focus of the show to be. So please, if you have any questions or comments or just want to drop me a line, I would love to hear from you. You can contact me at www.JacobAyers.com or email me at info@JacobAyers.com.